Here we're going to give you an overview of how it all works. There are two ways to share cars through Car Next Door. The Key Handover system, where the Owner and Borrower meet to exchange keys, and will report distance and tolls to us through the app. This article describes the Instant Keys system. To turn your car into a share car, we'll come out and install three pieces of technology: a lockbox, a toll tag, and a GPS tracker. We'll also apply your chosen stickers to your car to help with marketing. All you'll need to manage your car is the Car Next Door app or members' site. The three things we'll install in your car are a lockbox, a toll tag, and a GPS tracker. GPS tracker - This is to keep your car safe and allows us to measure the distance borrowers drive in your car. When you sign up to list your car, we'll ask you to nominate which sticker design you'd like on your car. It's not compulsory, but it's a big help with marketing your car and getting bookings. The stickers are easy to remove if necessary and won't damage your paintwork. Our installer will come out on a weekday to install the technology in your car. You don't need to be home that day as long as you can leave the car key somewhere secret. We'll send you an email and text message once your installation is complete. After your installation, you can take your own toll tag out of the car and suspend your account. Your tolls will now be paid through your Car Next Door account. The Car Next Door app and website provide you with all the tools you need to manage your car - including booking the car for yourself and seeing your past and upcoming bookings. Download the app or bookmark the website to your phone's home screen now. We'll double check that everything is ready and put your car live on the platform! Your car's profile is what borrowers see when they are looking for cars. Make sure you've filled out your car's description, any special quirks about your car borrowers need to know, and parking instructions for returning your car at the end of a booking. Make sure you've also entered your credit card and bank account details. You'll also need to nominate your additional drivers who will be covered by the insurance when they drive your car. Here's how to do it. The final thing you need to do is complete the steps to sharing checklist. Press 'confirm' when you're done. Your Car Next Door lockbox provides key access to borrowers, so you don't need to worry about meeting up to hand over the key. Keep the key in the lockbox and the lockbox in place at all times. Most bookings are made within 15 minutes of their start time, so you often won't have time to put the key in the place. How do borrowers get the key? Where is the lockbox installed? For the system to work, it's crucial that you always book your car if you're going to drive it. It's really simple to block out your car through the website or app - here's how. If a Borrower turns up to use your car and it’s not there, or the key is not available, then you may be charged a fee to cover the Borrower's costs of getting where they needed to go. You pay for all the fuel that goes into your car, and then each borrower pays you back for the fuel they use. You choose your car's distance income from 13c, 25c or 37c a kilometre. This is how much you'll earn for every kilometre a borrower drives, to cover fuel as well as wear and tear on your car. If a borrower needs to fill up during their booking, they pay themselves and upload a photo of the receipt. We'll reimburse them and add the charge to your monthly invoice. Each month we'll pay you your share of your car's income, less your $60/month membership fee, fuel charges, and your own tolls. Your membership includes comprehensive insurance, roadside assistance and all the technology and support to make renting your car out possible. $60 a month doesn't cover our costs of having your car on the platform, so we also take a commission on your car's income. If you need to stop sharing your car and cancel your owner membership for any reason, you need to give us at least 10 business days' notice so we can arrange to uninstall our equipment from your car. Does it cost me anything to list my car? I need to stop sharing my car - what do I do? Most bookings are made less than an hour before they start, so keep your key, lockbox and car ready for bookings at all times. Because availability has such a strong impact on bookings, we have a Fair Availability Policy in place - your car should be available for at least 50% of weekdays and 50% of weekend days each month. Of course, accidents do happen but your car is covered by our comprehensive insurance policy – whether damage occurs when it's you driving, one of your additional drivers, or a borrower. You're also covered for fire, hail and theft. If your car does get damaged, our repair processes will kick in to get your car repaired and back on the road as soon as possible – we'll take care of it all. It's important to note that the insurance doesn't include cover for 'wear and tear'. 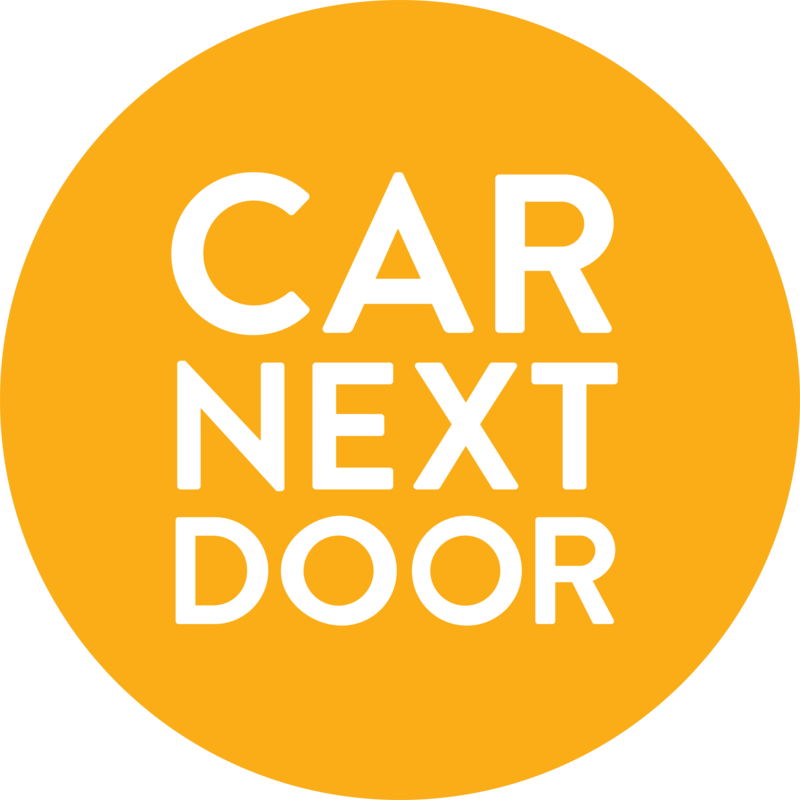 When you join Car Next Door, you join a community of over 60,000 car sharers across Australia. By renting your car out, you're helping your neighbours get around and reducing the waste of underused cars. Car-sharing is the most sustainable way to access a car, and with all the emissions from borrowers' driving offset through Greenfleet your car is also planting trees!